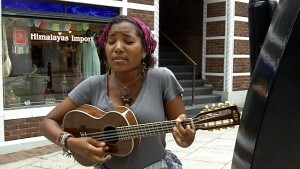 In the summer of 2010, New York-based musician Jessica Dennison was passing through Asheville, and decided to give busking a try on our streets. By the time I ran across her, however, the looming clouds and drizzle made it very clear that her next song would be the last in her set. 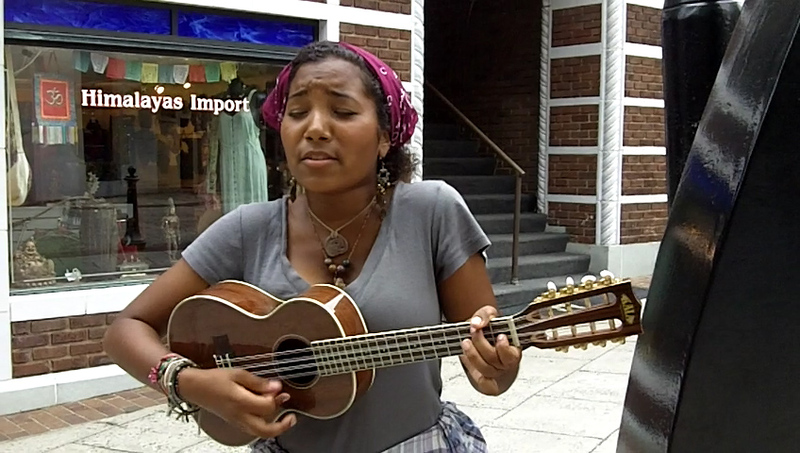 So, armed with her ukulele and charm, she performed her original tune “Grave” for the Busk Break project. This video was the first “hit” Busk Break recording, quickly reaching 1,000 YouTube views in a matter of weeks. It’s easy to see why: Dennison is talented performer, it’s a fun song, and it doesn’t hurt at all that she’s almost painfully cute. Add to that her seeming shyness (half the time she’s playing, her eyes are closed tight) and that “whoops” face she makes at the end when she slightly messes up the melody, and it’s hardly surprising that she won over the overwhelmingly young male demographic Busk Break was attracting at the time.